Walking out of the gym on Sunday afternoon after a fun day at the HoopSeen Tip-Off, something caught my eye on Court 4. That something was 6-foot-7 2021 forward BJ Wright of Perry High School. Playing with the 16U Middle Georgia Ballers, who don plain all-red uniforms, Wright’s strong build caught my eye and when I found out he was only a freshman this season, I knew I had to stay. It wasn’t the best litmus test, a 29-point blowout win, but the raw tools were too much to ignore. Wright scored 13 points on a bevy of highlight dunks. Wright plays more on the wing with some trips to the block, giving him elite size at his age and position. He had one nice assist on a pick-and-roll slip which provided a glimpse into what his potential might be. With all young players, college ball is still in the distant future, but that future will come quick. Wright has the god given body and natural skills to become an interesting prospect. He will need to continue to work on his craft and more importantly, everything else away from basketball. If he can put school first with basketball a close second, it will be very fascinating to see what the narrative is surrounding Wright come 2021. 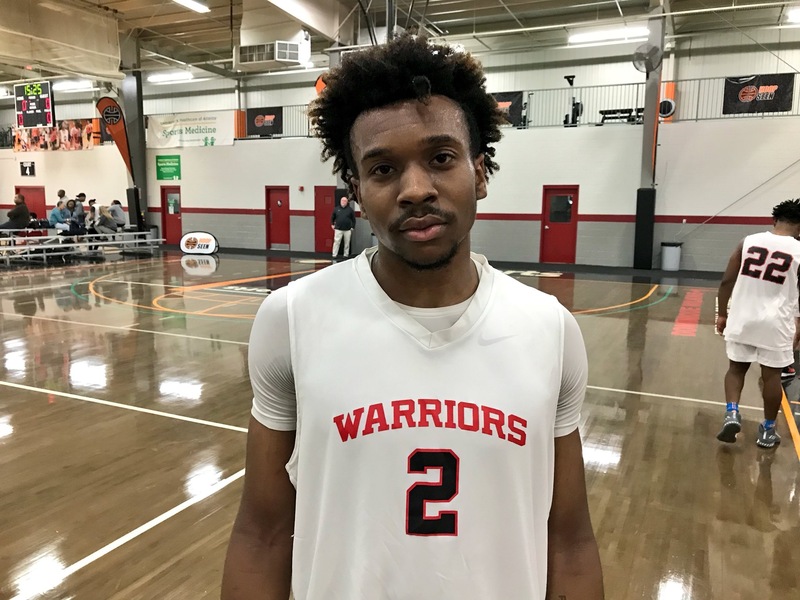 Coming off of an extremely successful 18-11 campaign with a state playoff berth in Year 1 under Coach BJ Thomas, the War Hawks have even more reason for optimism, and that’s not even taking into account that their top two scorers are set to return. 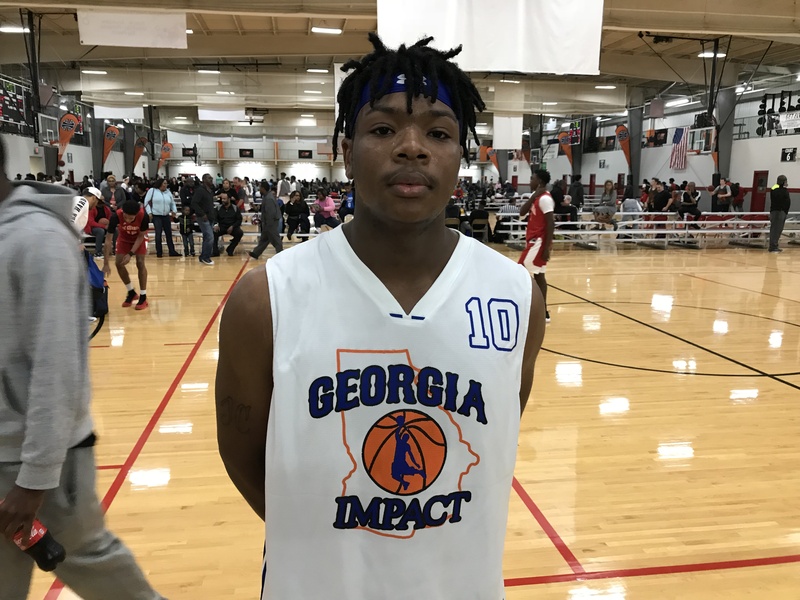 The 2020 class holds two potential breakout candidates on the varsity level in 16U Georgia Impact frontcourt mates 6-foot-6 LayPonius Davis and 6-foot-4 Jeqhuan Carter. They might not set the world on fire, but they will be usable pieces for Coach Thomas. Davis is a long shot blocker that also posts up well. He will need to get stronger and work on keeping rebounds high, but his size and willingness to run the floor bode well. He had 4 points, 10 rebounds, 1 assist, 2 steals and 3 blocks in a win. Carter is the physical garbage man inside. What Davis might lack in bulk, Carter makes up for with his bullish presence in the paint, most notably on the glass. He collected 15 points and 13 rebounds. Though he doesn’t have the elite leaping ability right now, Carter could provide a similar skill set that ‘17 Kovi Tate brought to the table during Henry County’s 2017 Final 4 run. 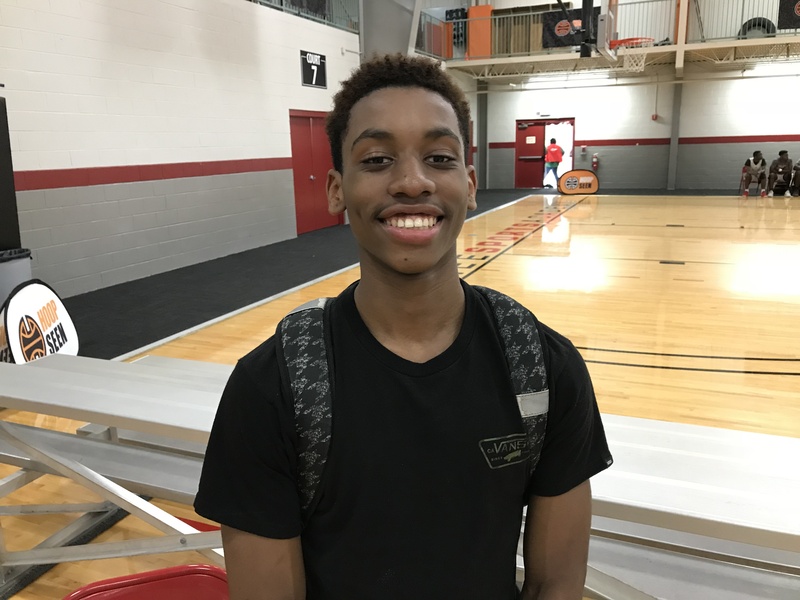 2020 6-foot-6 forward Ja’Queze Kirby isn’t pink and isn’t round, but he can float above the rim just like his video game predecessor. 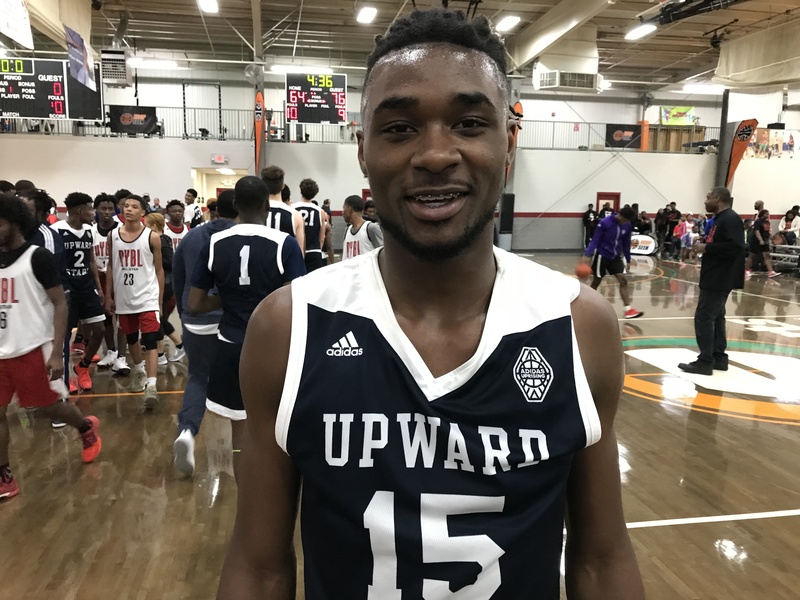 The Class AA First Team All-Stater has long been known for his electric athleticism, but this weekend with 16U Upward Stars SE he showed more than just his hops. Kirby piled in his customary 20 points but drilled four three-pointers in the process. Defensively he moved his feet well and came away with two blocks. Kirby is one of the state’s best prospects and the gem of South Georgia. It’s easy to see how he stuffs stat sheets on a nightly basis at Jeff Davis; it’s harder to understand how he hasn’t received a scholarship offer yet – that will change soon. 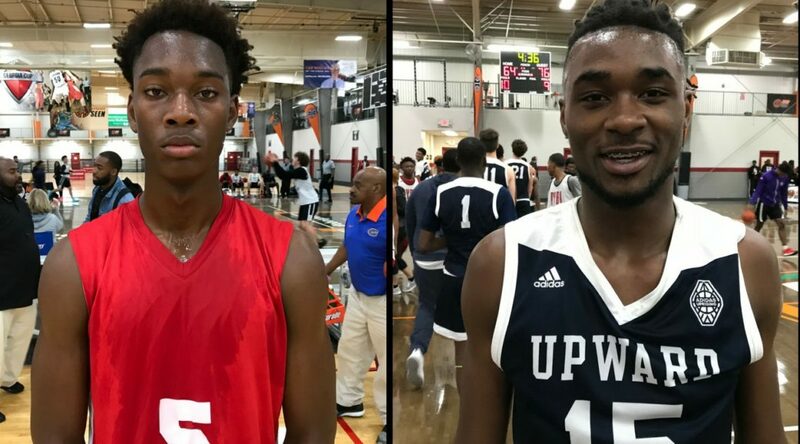 Marist’s 2021 group has some talent moving up the pipeline in the form of 5-foot-11 point guard Luke Benson and 6-foot-2 forward Derek McDonald. Benson is a crafty ball handler with poise and a little cool swagger. He gets some nice elevation on his jump shot and can pull-and-pop from the mid-range. McDonald is the workhorse. Already physically strong and to no surprise a football player, McDonald plays a 3/4 role as one of the tallest players on the team. He uses his strength to his advantage to attack the glass and finish drives. He is a high effort player that likes to stick his nose into the action. He has range to the three-point line but will need to solidify the shot as he gets older to make it a true weapon in his arsenal. He scored 16 points in a 45-43 OT loss. 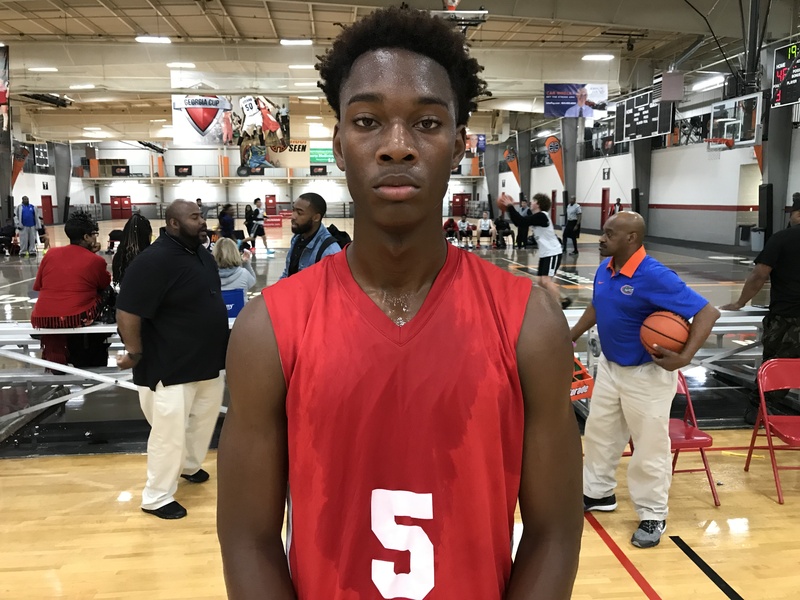 Led by 2019 5-foot-9 point guard Donell Nixon (Buford), SBC Select finished their weekend at the HoopSeen Tip-Off 3-0. Nixon scorched nets all tournament, drilling three after three. He nailed five in a win over the Greater NE GA Warriors, where he finished with 19 points, 4 rebounds, 6 assists and 5 steals. His passing may have gotten a little overshadowed playing with Lipscomb-signee Alex Jones the past two seasons, but make no mistake, the dynamic dynamo can dish it out. Wofford, East Tennessee State and Rutgers have all shown interest. Teammate Grant Van Beveren will see an uptick in his recruitment heading into his senior year. The 6-foot-6 post from Chattahoochee is a sturdy big man that knows how to use his body. You can pencil him in for 10+ rebounds a night. Offensively, Van Beveren showed he can knock down the straightaway three and even pull up off the dribble. Elbert County pieced together a 23-5 record and a trip to the Sweet 16 in Class AA. All-State Honorable Mention 6-foot-3 2019 forward AJ James played a massive role in the Blue Devils’ 9-win increase. James reminds me of current Piedmont Lion and former ’17 Lakeview Academy Lion, Josh Randolph. 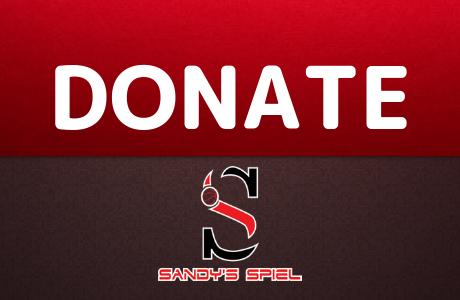 James is athletic and physical and plays all over the floor for his teams, usually positions 3-5. 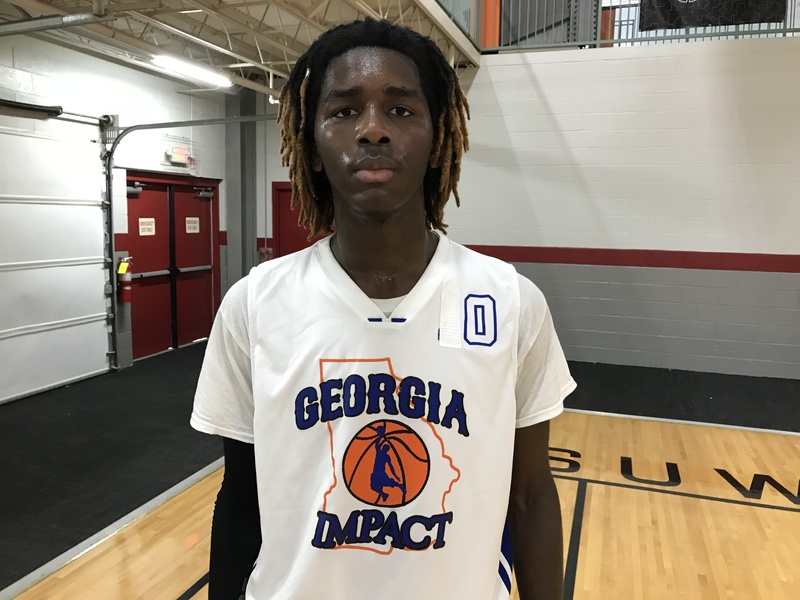 James bangs inside for the Blue Devils during the regular season, but his wing prowess was on display this weekend with the Greater NE GA Warriors. James posted 11 points, 11 rebounds, 1 steal and 2 blocks. I love how he attacks rebounds. Maybe most impressive, is his fearless post defense. 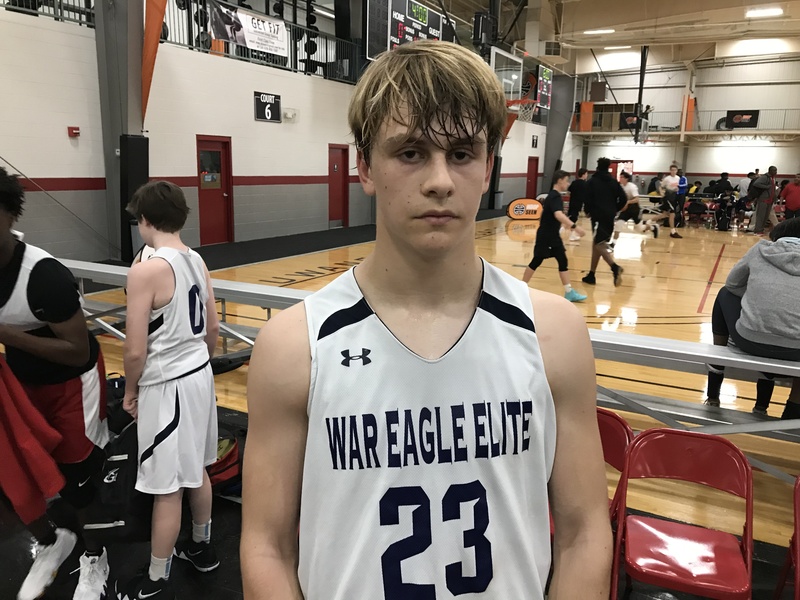 James is used to giving up size on a nightly basis and has had wars with 6-foot-7 North Georgia-signee Dylan Orr of Banks County. He had to tussle with big man Grant Van Beveren this weekend and give him fits with his blend of strength and quickness and ability to not foul when denying deep post position. James is a great glue guy that can help teams win on both sides of the ball at multiple positions.